I've succumbed to Lori's Barn A Long. I know. Another project when I should be working on my UFOs. I'm bad. 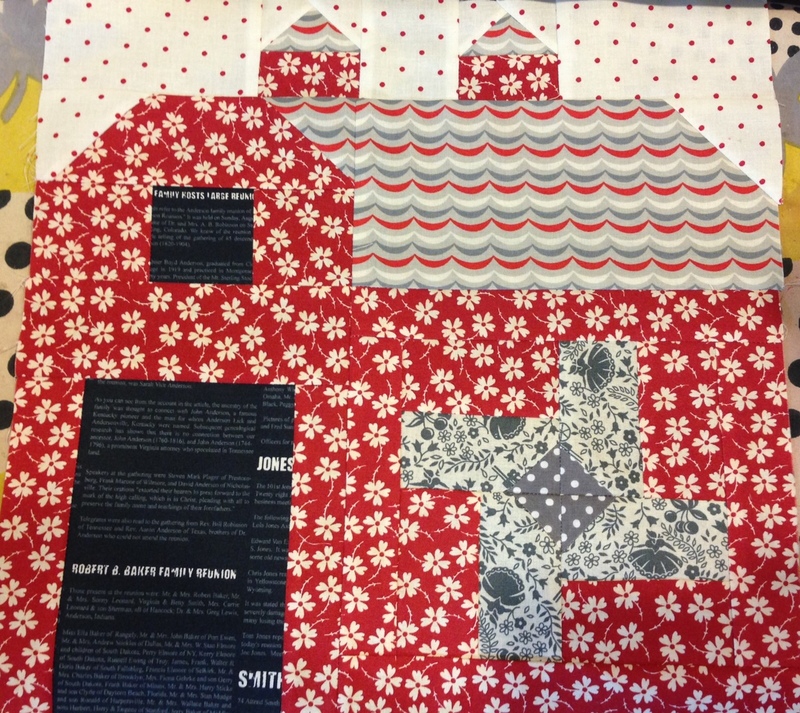 I have this calendar in my studio that shows barns and their hex signs/quilt blocks. Who knew Lori was going to do this barn-a-long when I bought this calendar last year. This is my March calendar page. Since I'm from Pennsylvania, I've always loved the beautiful barns and hex signs in Berks and Lancaster counties that the Amish and Mennonite people have made. They take great care of their barns. 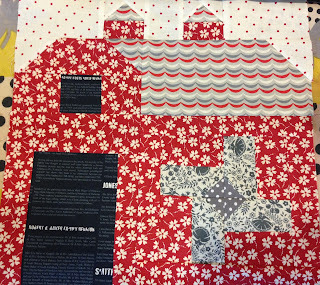 So with those barns in mind and the fact that I've always wanted to make a hex sign quilt, I joined Lori. This was the first barn I made. I really should have tried harder to match the plaid. Oh well. 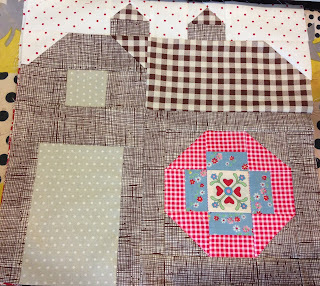 This was the 2nd barn I made with Lori's patterns. The bird seemed to go with the hex sign thing. I decided to make some of my own 6" blocks for the barns and my faux hex signs. So I made this one appear more circular by having the edges blend into the barn. 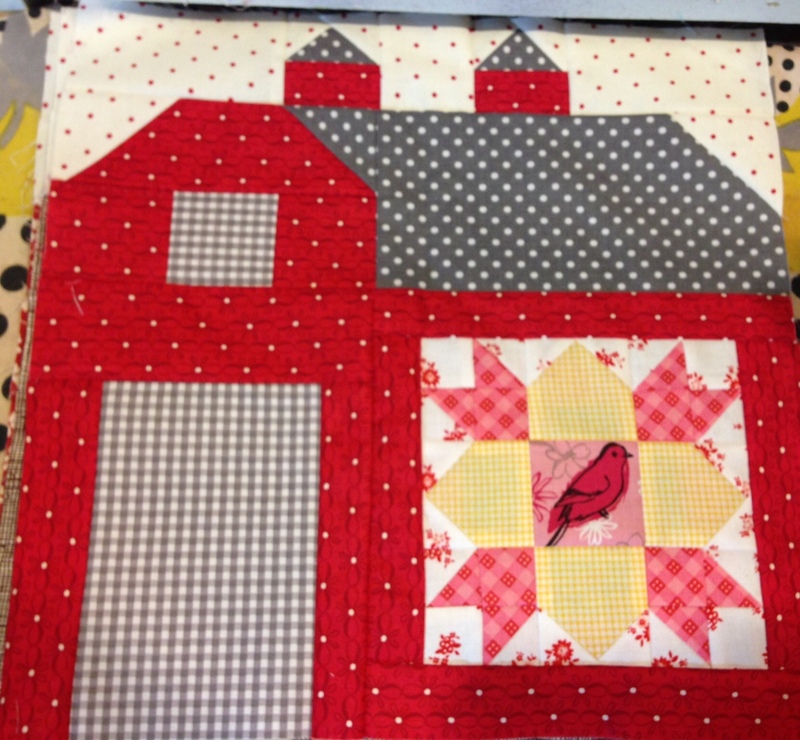 I also used that idea with this red barn. I'm not sure about it. 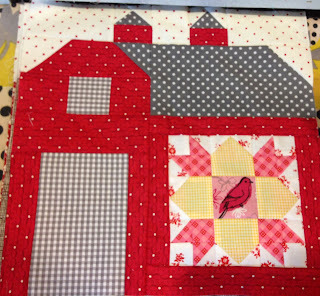 I think if I had it to do over again I'd put a background fabric in like the first 2 barns I made. I do like this roof, though. 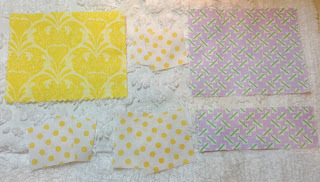 It is really REALLY fun to pick out fabric for my barns. It is making my sewing room all torn up because I keep pulling fabric and throwing them around. Are you doing this barn-a-long, too? I'm thinking mine will be called Barns of Berks County. I may even work the words into the design. 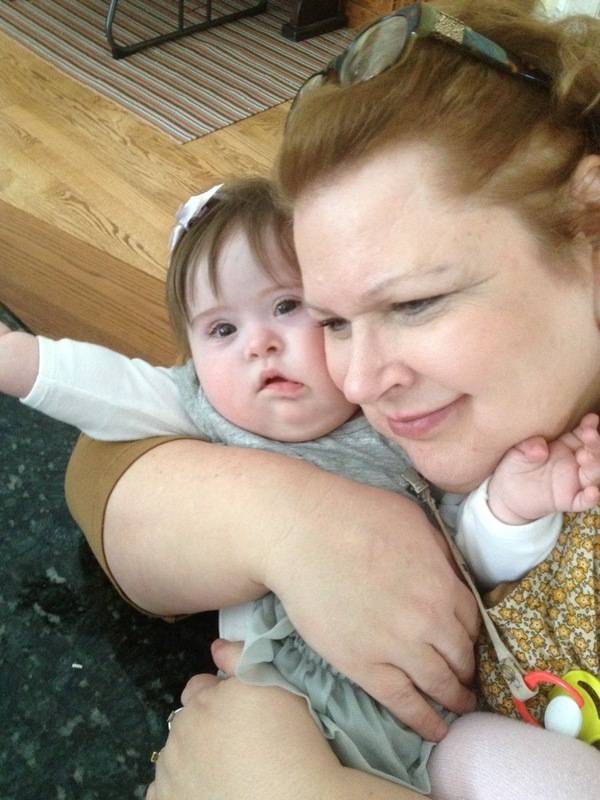 I took a bit of time last week to head south in Utah to visit my sister Polly and her family. It was a great break for me and Mr. Hive. 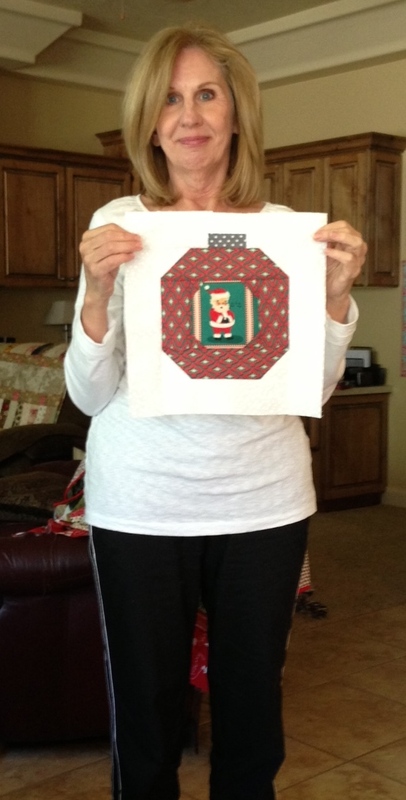 At Christmas I made Camille's Vintage Holiday quilt. 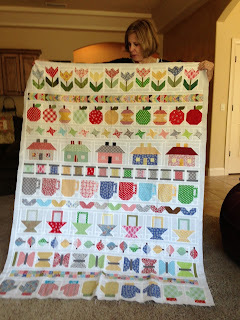 My sisters and nieces decided they would also make projects using this pattern, too. So we worked a bit on blocks and planning their projects. 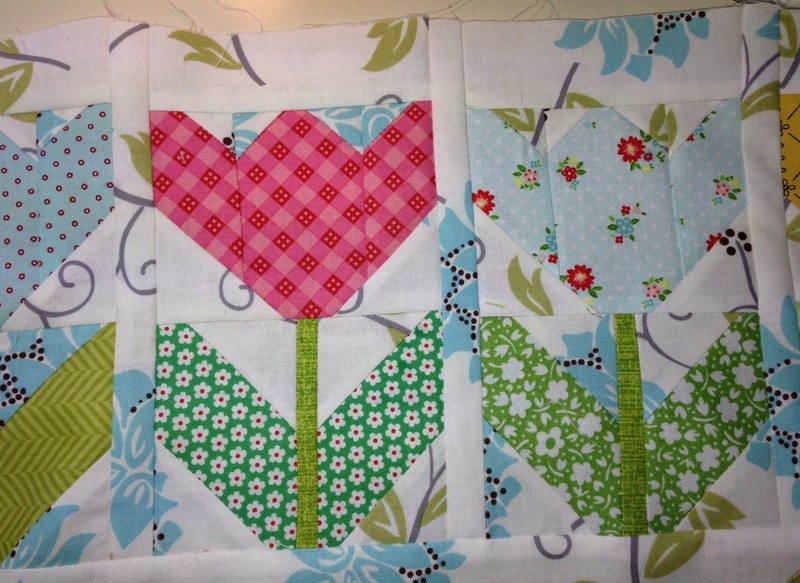 We ended up with 3 blocks completed. 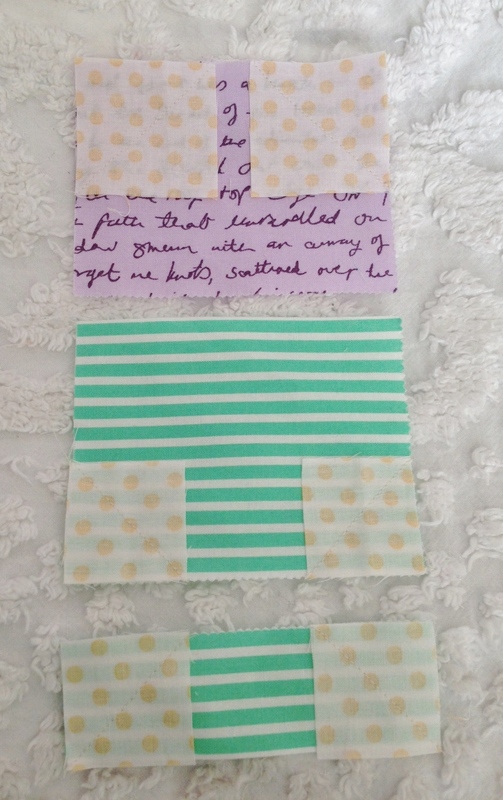 I know that doesn't sound like a lot but choosing fabric and cutting was also accomplished. My sister Michelle made her fussy cut block #7. Super cute. 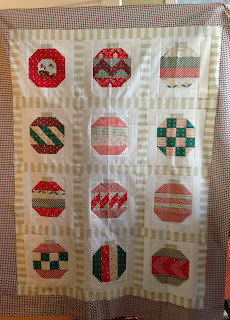 My niece Tricia also is here with fussy cut block #7. Also fantastic. 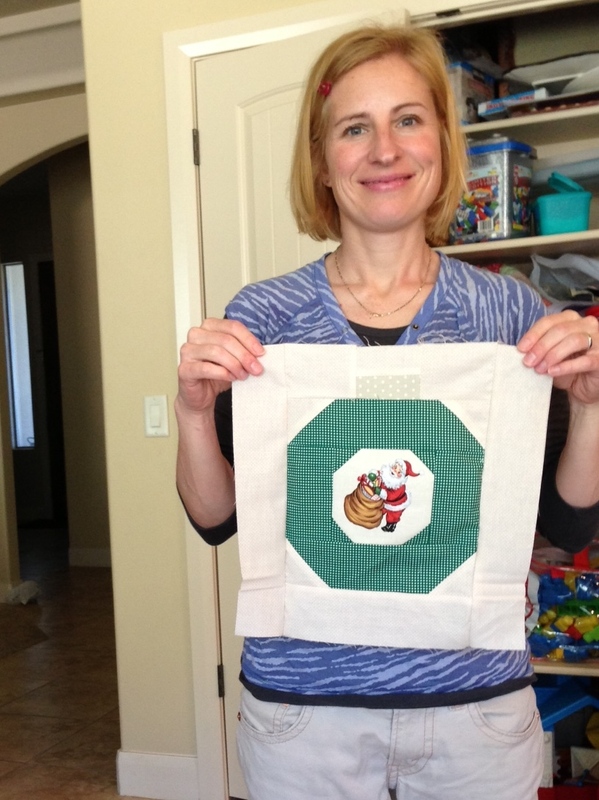 And my sister Polly with her block #7. Darling. Not pictured is my niece Tricia and the great nephews that were also there and greatly contributed. 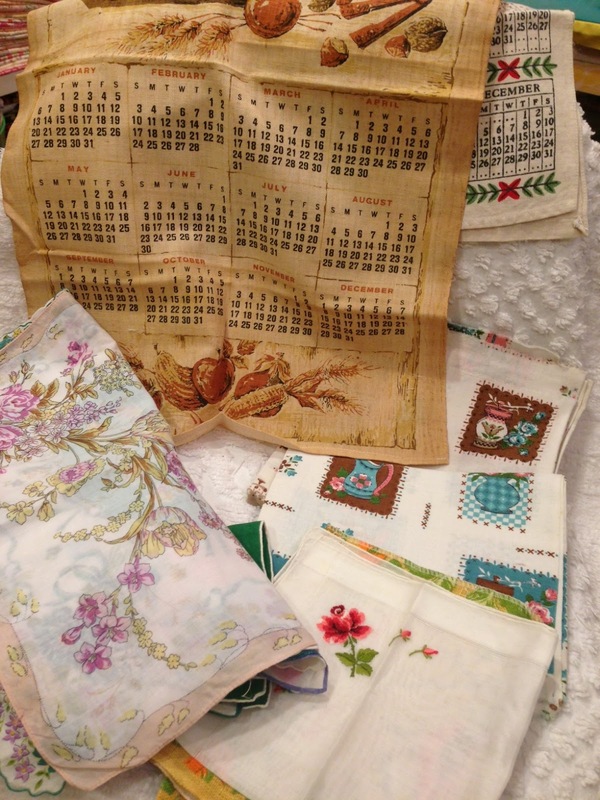 (not to mention husbands) The girls all planned some alone sewing in the next few weeks to keep their momentum going forward. 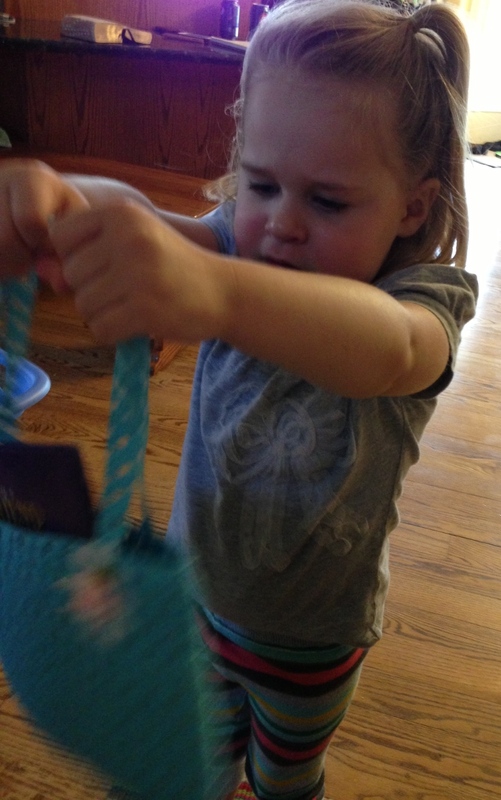 We always have fun sewing together. Michelle has been working with the rest of us to make Lori's row along quilt. 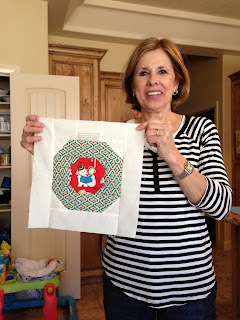 I was so glad she brought her flimsy to show us. It really is so cute. 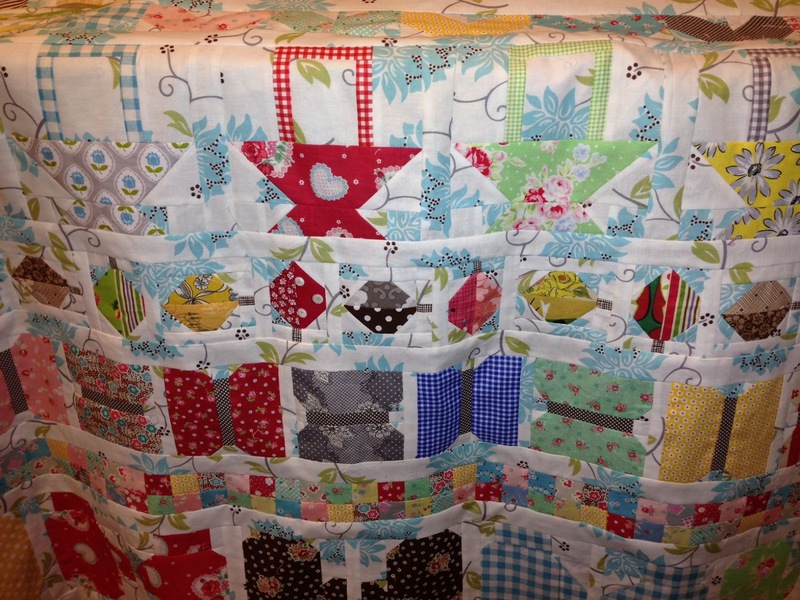 Cute enough to make my nieces want to make one, too. Michelle did a great job (better than me!). 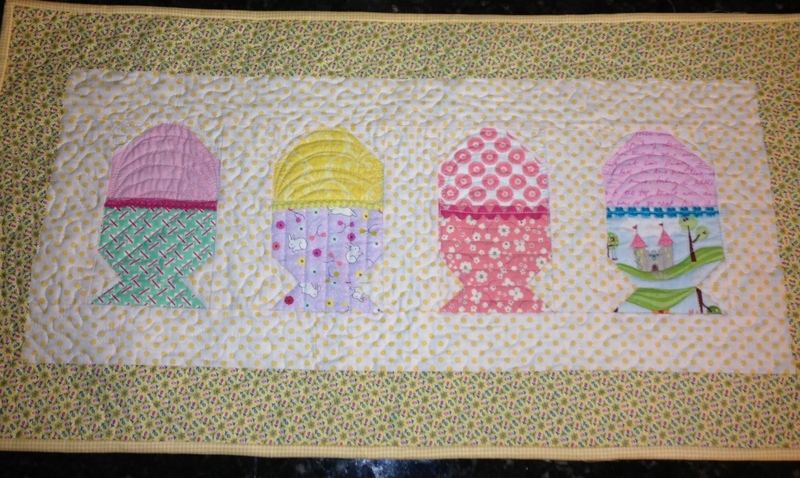 This quilt was so fun. I wish I had brought mine to compare. Darn. But it was fun seeing Michelle's. 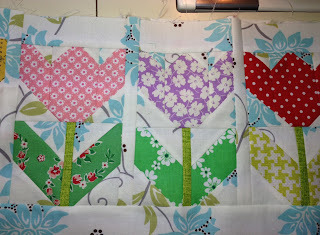 Now this week I need to finish my row along and add the borders. Let's see if I can fit that in my busy upcoming week. Thanks Polly and Ken for letting us come and stay in your lovely home. It was a wonderful few days. Poor Lori. I'm seriously not doing her proud right now. Lori' sewed her rows together. You can see hers here. Please look at hers. 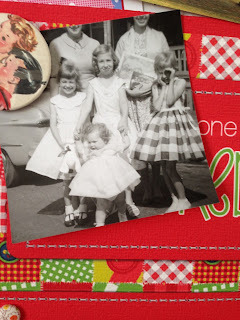 My photos aren't with a finish press because I need to work on my edges, still. 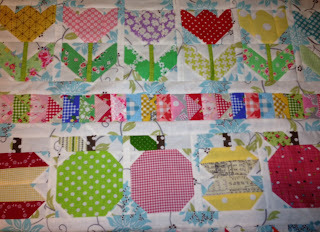 So I did get all my rows finished and sewed in the same order as Lori's. And it looks ok. I'm not happy with some of the mistakes I made. And there were quite a few. I will tell you that my rows were not all the right length. I'm dealing with that problem right now. I did pin from the center out and really tried to get everything all together evenly. 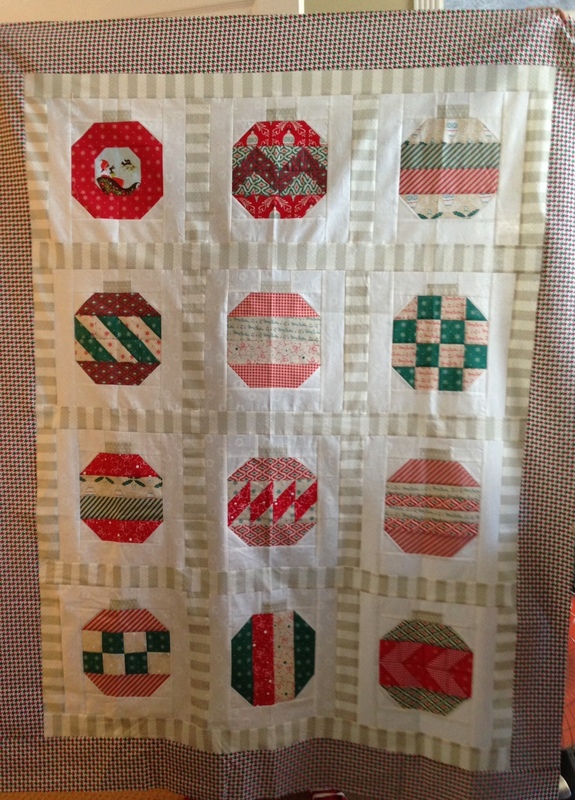 I'm hoping that when this is quilted you won't notice my errors or that my edges could have been more even. 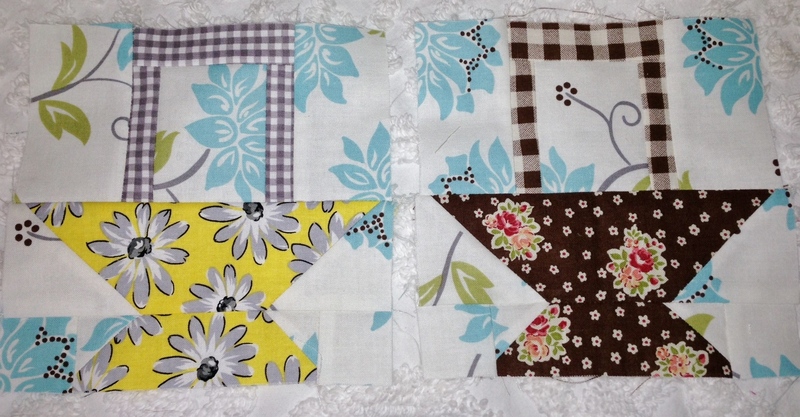 The blocks really are so cute though. 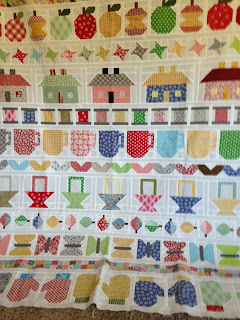 When I look at the photos, I think it is going to be a fun quilt and I've really enjoyed making each row. Thanks Lori. 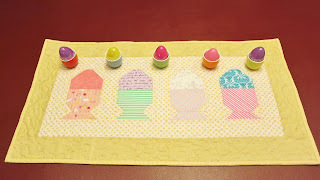 I decided to make 6 Easter Egg Cup table runners total. I know, crazy, right? But I'm giving some as gifts. I already had 2 runners made and I finished the other 4 over the weekend so I thought I would show them. 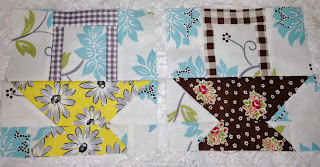 As I said, I mixed the Riley Blake charm pack (on Etsy from Quilt Taffy) with the Posy pack. I was able to stretch my design palate that way. I really don't know which runner is my favorite. Because of course I am keeping my favorite! I was able to make 6 of these because they worked up so fast. 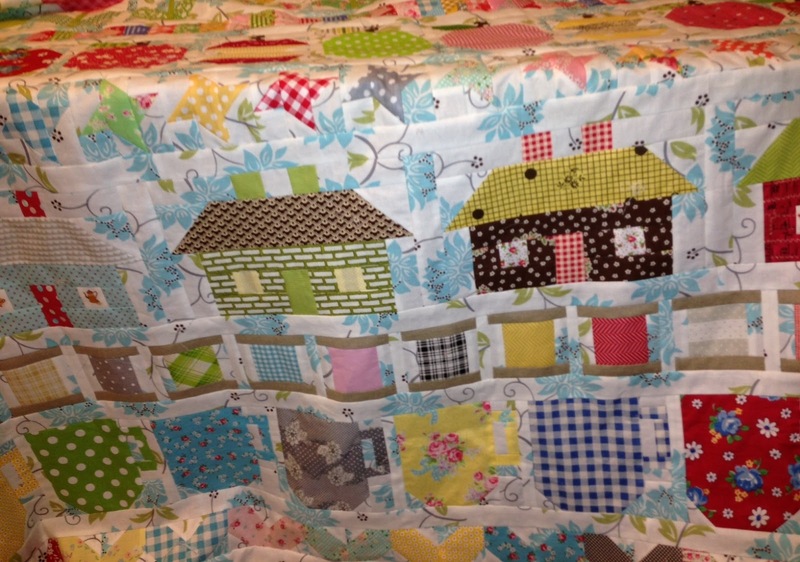 And I did simple machine quilting myself. I think this aqua border is going to be mine. Or is it the yellow chevron? I am happy with all of them. "I love your pattern. 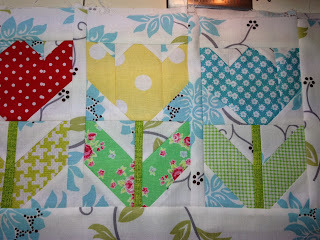 I'm thinking I will make a table runner out of it. But might have a chicken in the last cup." What a cute idea. 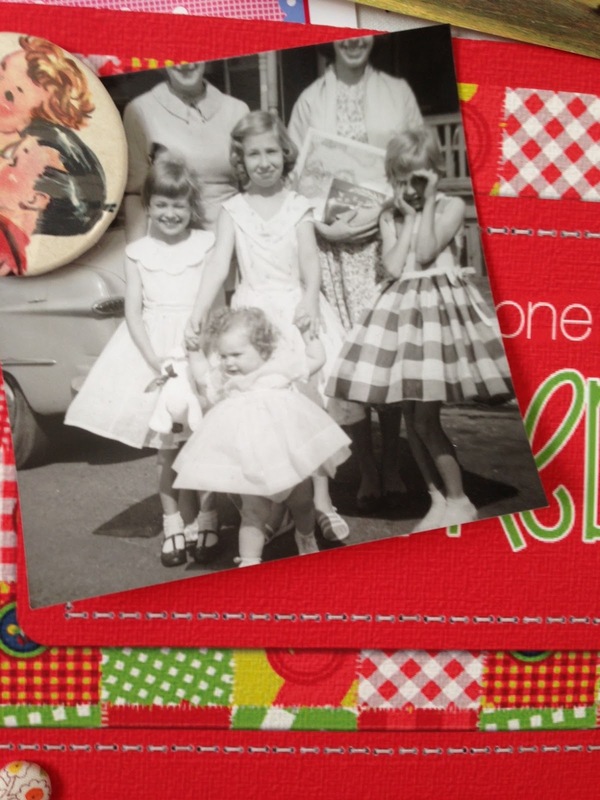 Send me your postal address Jan and I will get this out to you right away in time for Easter. EDIT: The giveaway goes until Sat midnight 03/09/13. I will announce winner Monday 03/11/13. Thanks! 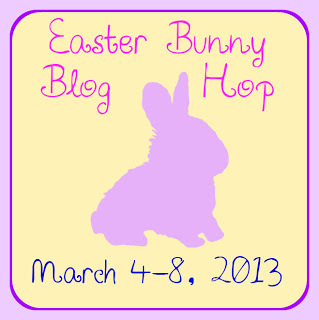 If you visited me yesterday you know today is my day to participate in Lilac Lane's Bunny Blog Hop. For a full list of participants you can see them listed HERE. Some of us have some pretty cool giveaway prizes with our blog hop tutorials, too. 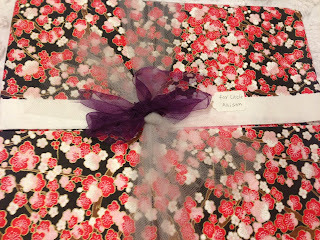 Leave a comment (see the end of post) to enter my giveaway. 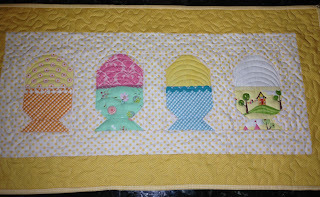 My tutorial is for an egg cup block. I really love the shape and vintage feel of egg cups and the idea of an egg breakfast brought to me in bed with the egg sitting into a little darling cup. I can dream of that happening (it won't) and instead make fabric egg cups and be almost just as happy. These last longer, too. 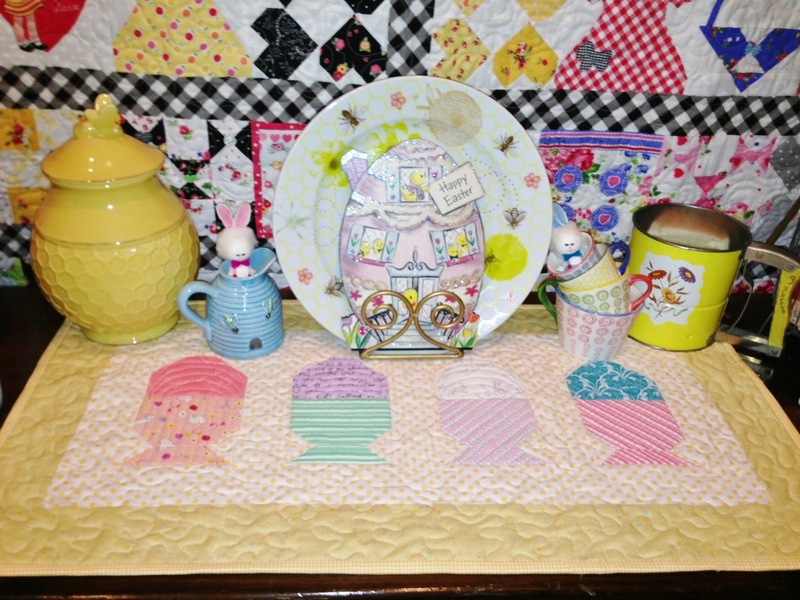 The egg cups above have some trim added between the egg and the cup for a more vintage feel. 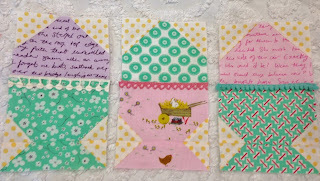 These egg cup blocks do not have trim and I"ve tried to make them look a bit more modern. I think they are cute, too. These are super simple and if you are interested, this is a little project or even a gift, you can start now and finish well before Easter. Finished size for the table runner is 32" x 16.5". Riley Blake gave us these charm packs to use in our projects with the blog hop. Thanks Cindy and Jina. 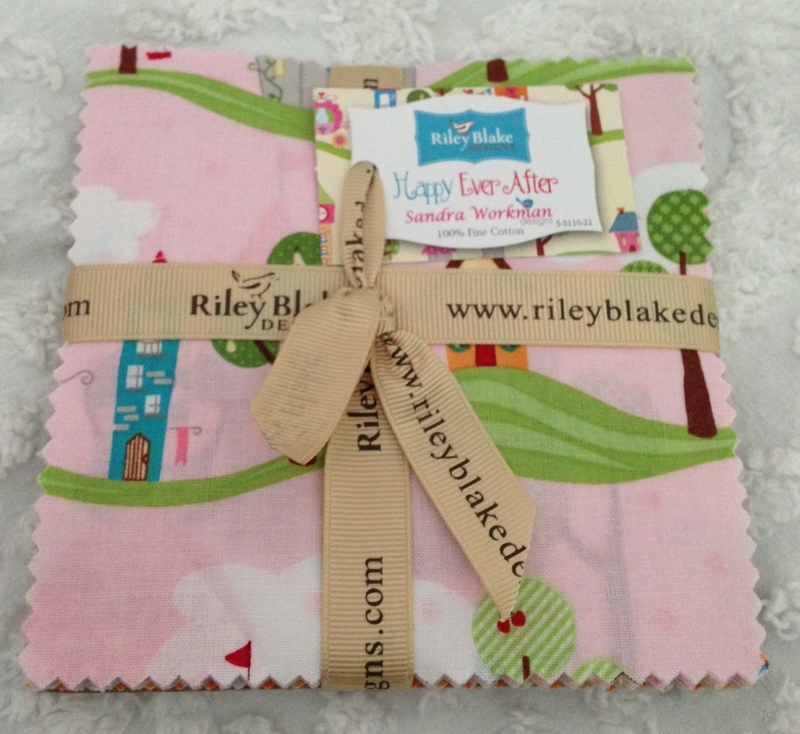 This fabric is called Happy Ever After. 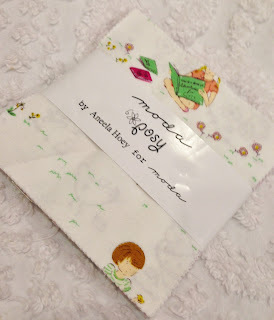 I had already ordered this new Posy fabric to use as well. So I mixed the 2 charm packs in this project. Bold of me. But I think it worked. 2 contrasting charm squares - from (1) charm square for the egg (top) part cut a piece 3.5" x 4.5"
Place the (4) 1.5" squares over 4 corners of the cup body holding the 4.5" edges horizontally and the cup stand as above. 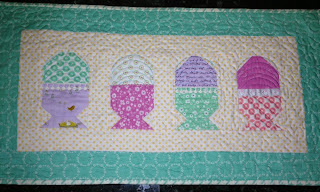 Place the (2) 2" squares over the top part of the egg piece again holding it so the 4.5" side is horizontal. 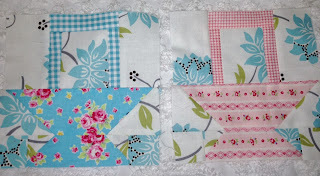 Use the quick corner method described here previously or other blogs to stitch the pieces together. Use the finished block photo below for noting stitch direction in the quick corner method. 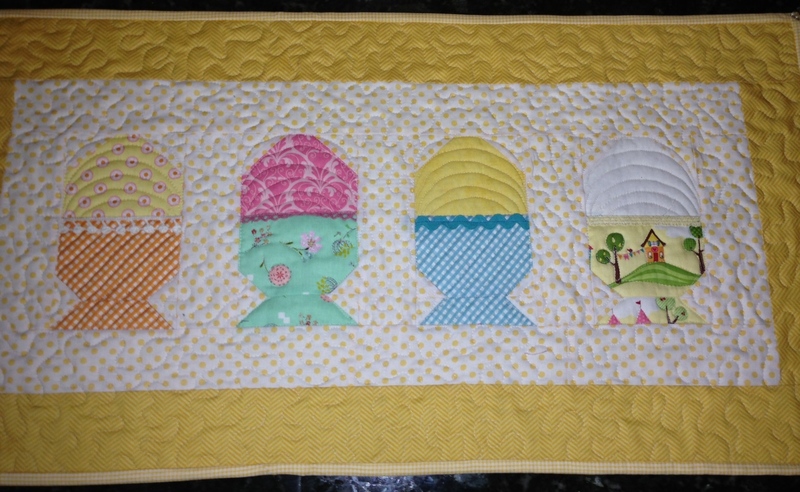 You should have 3 parts to this block: the egg, the cup, and the cup stand. 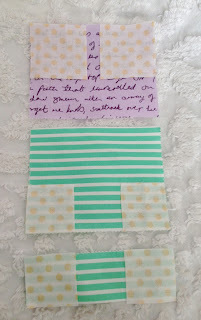 After making your quick corners, trim seams leaving about a 1/8+ seam and press outward. 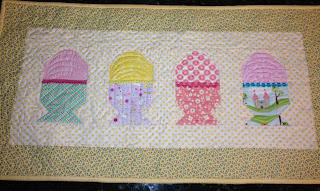 Line up the pieces out for joining all 3 pieces as in photo b. Sew parts together to create the egg cup block and press. Decorative trim is optional. 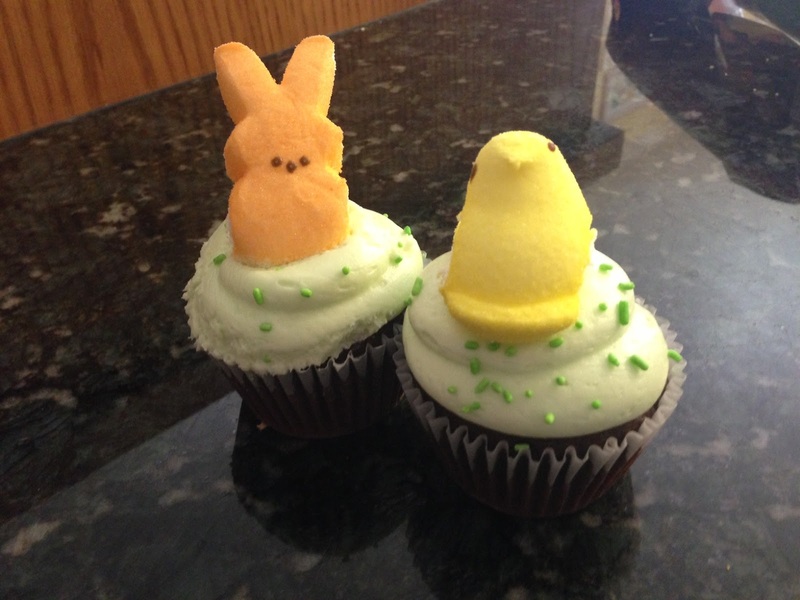 However, if you choose to add trim, now would be the time to embellish your egg cup. You just stitch whatever trim just below the seam line where the egg and cup join together. That was easy. 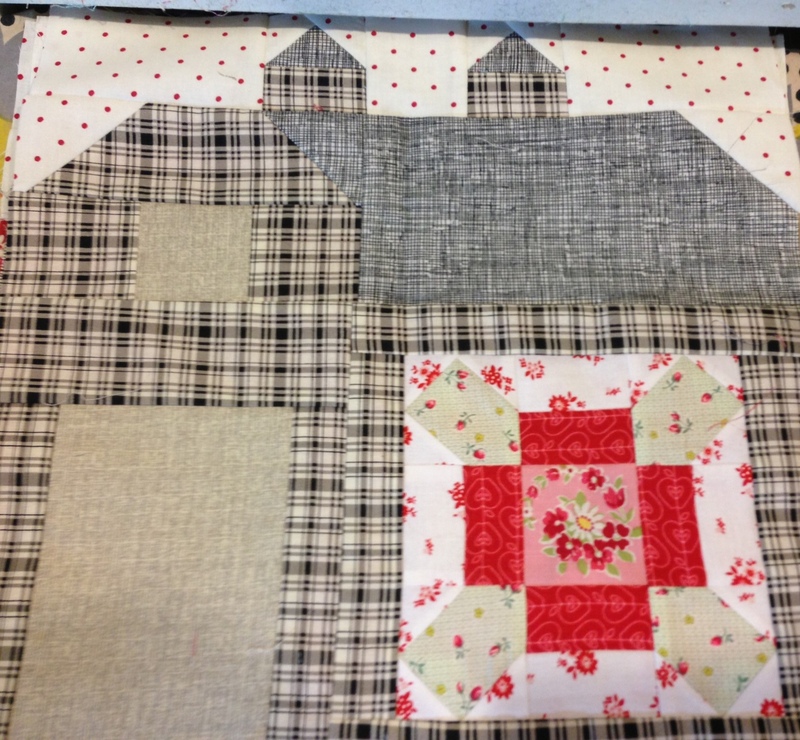 Just three pieces to put together after the quick corners. Now you have 1 egg cup. You can really do anything with these blocks. 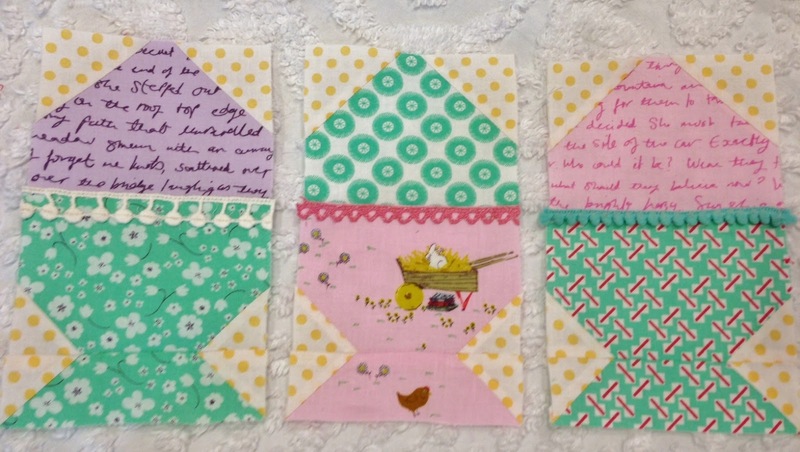 You can make them part of a bigger project or you can make a small table runner like I did. Outer border cutting is 3" x 11.5" and 3" x 32". Stitch the 7.5" strips in between each egg cup block and on the ends. 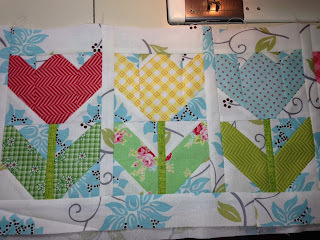 Stitch the side border and then the top and bottom border. Finish press. 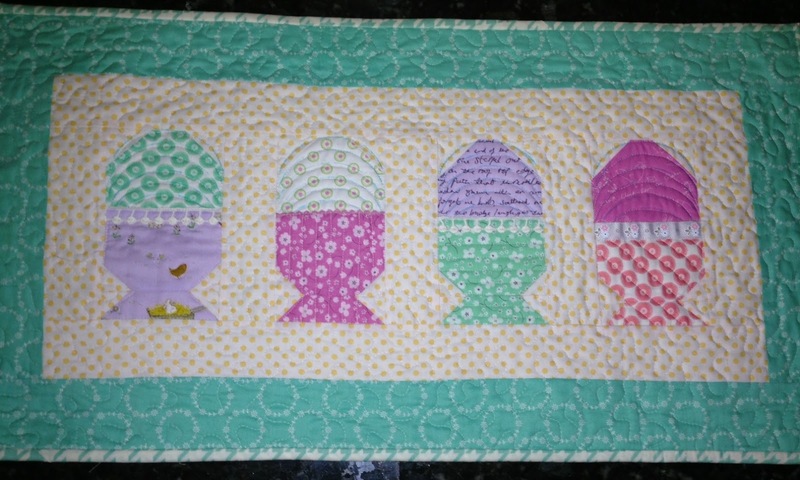 Before you machine quilt, mark curved lines over egg to help create a rounded or curved appearance to the egg. In Photo d above you can see I used Lori's round ruler to mark my curved lines. 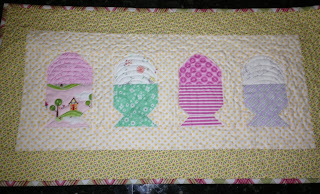 Machine quilt the cup in straight lines or a fun design like a flower in the center. 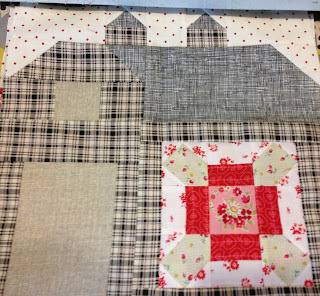 Then quilt the sashing and borders as desired. The egg cup table runner can be made in any size. You can line up as many egg cups as you like to fit your table. You can even place the cups alternating upside down and right side up. 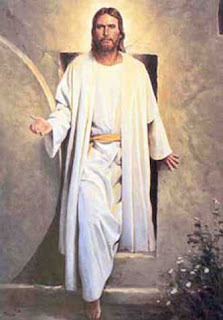 Easter is a fun Holiday and it slips by us pretty fast. But simple decorations like this table runner can be enjoyable to make and display. 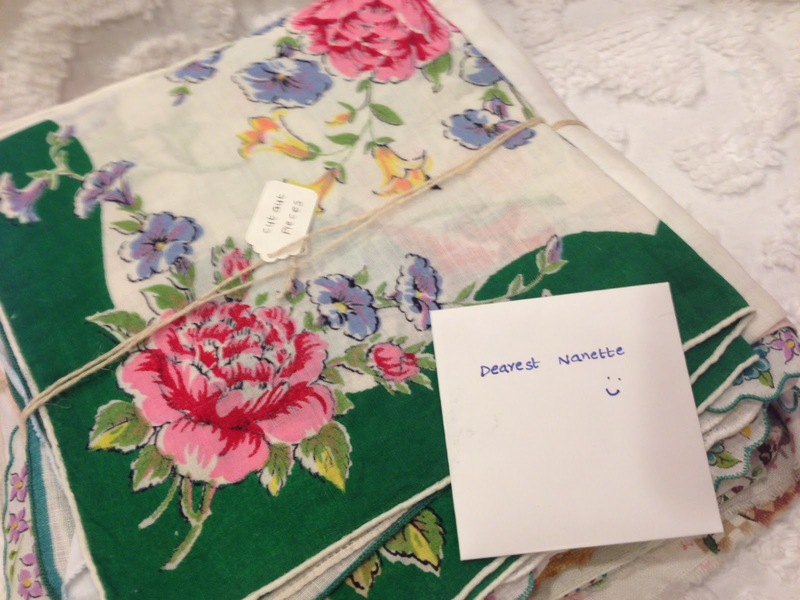 If you leave me a message, any simple message will do, I'll put your name in my drawing for this prize. I chose to give a few of my favorite things. Ala Oprah, if you will. The green thread snipper is pretty darn fun to use. 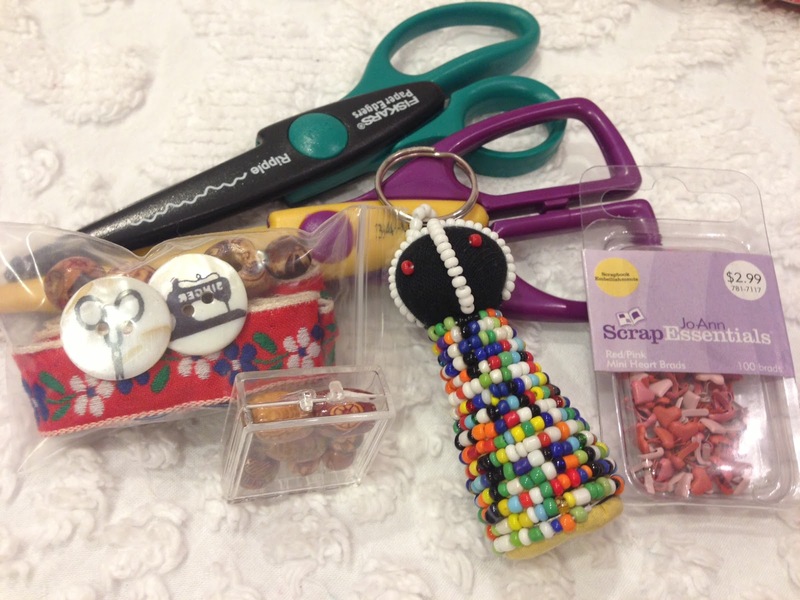 The pink thimble is my absolute favorite tool. 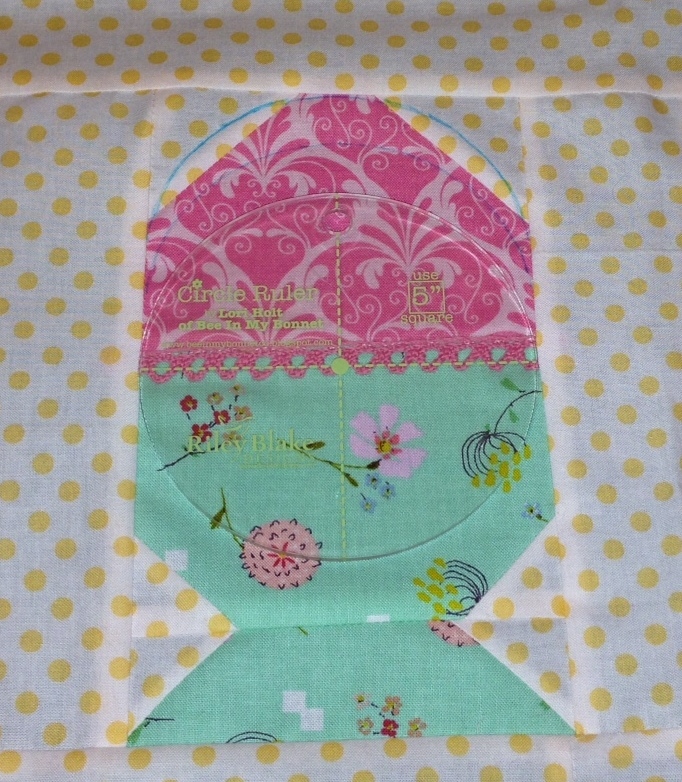 I can applique or hand stitch fast and slick using my trusty pink thimble. 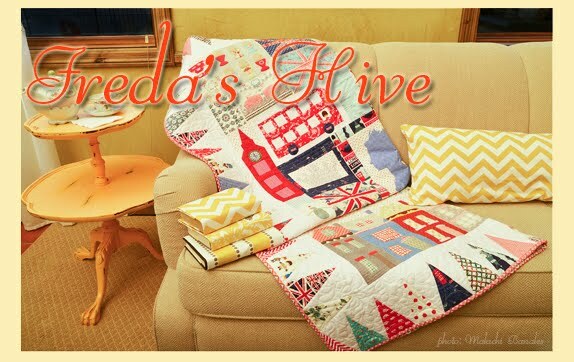 There are 62 5" charm squares made in my custom bundle of favorite fabrics (today's lot) tied with Freda's Hive ribbon. They are all very current fabrics that were next to my cutting board from fabrics I'm using, have recently used, or are getting ready to use. And they are all pretty cute, if I say so myself. 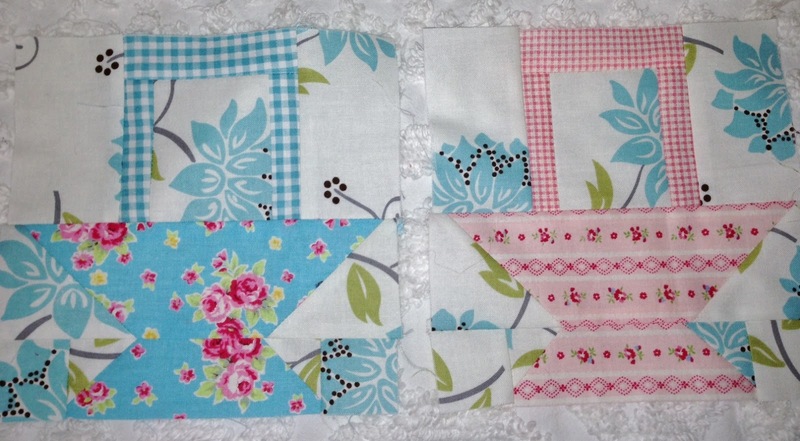 Also included in the winner package is a charm square pack of the Posy fabric. Some of my egg cups were made from this line of fabric and so I wanted to include a new pack in case the winner wants to make my project. 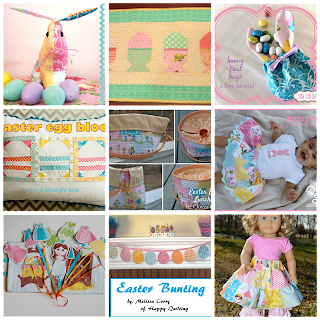 Happy Easter Bunny Blog Hop. 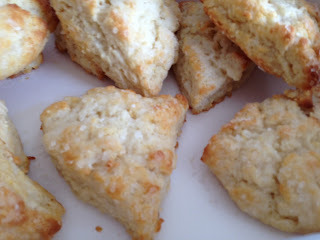 I hope you play along all week with the blogs. Remember go here to see the list and leave me a comment for a chance to win. 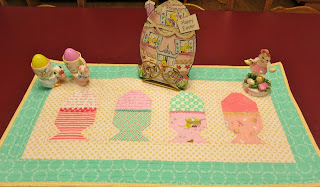 Melissa at Lilac Lane is hosting a Bunny Blog Hop this week with free tutorials for Easter projects on blogs. Tomorrow is my day. So come back tomorrow (but it will be up all week) to see my tutorial and finished project. I think I'm giving away a great prize package, too. So you won't want to miss that. Hint: the prize is a few of my favorite things. Go visit Melissa today. 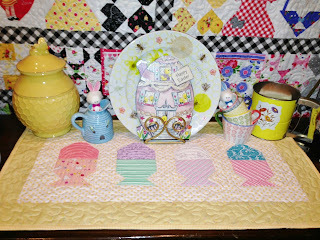 She has the first tutorial here: Patchwork Bunny Pattern. 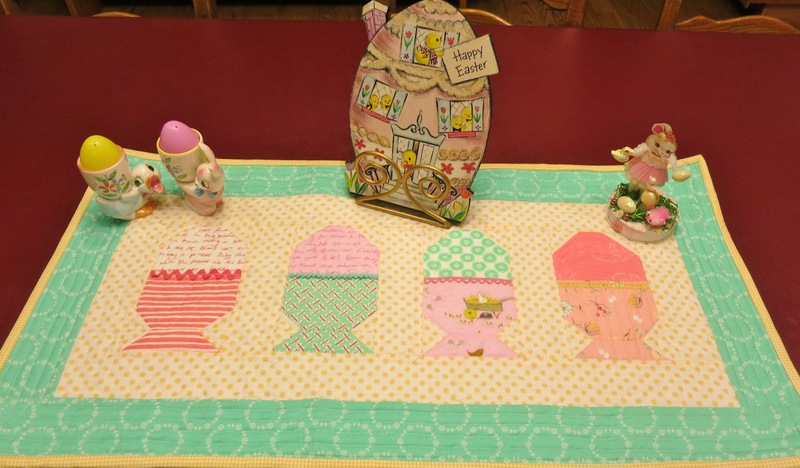 Most projects use charm square packs so this is a great time to sample a little Easter colored fabric in a charm square size (or cut your own from stash) and make a cute project. 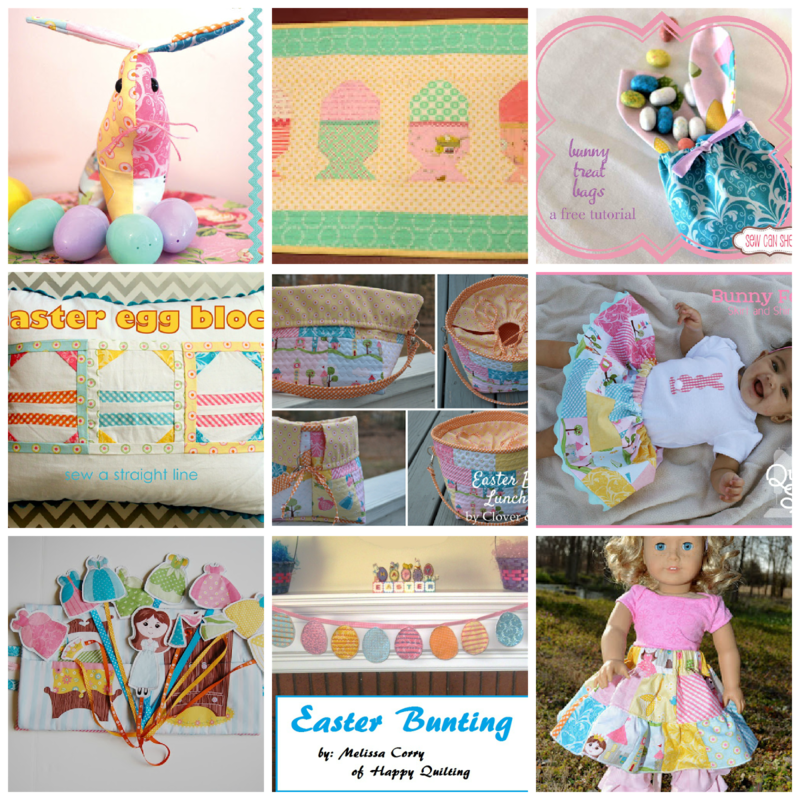 You have just enough time to play along with the blog hop before Easter. I know we are all busy but you can put your projects aside for 1 day to make a cute new Easter decoration. Remember I'm tomorrow. You can view the whole list of participating blogs on Melissa's blog. 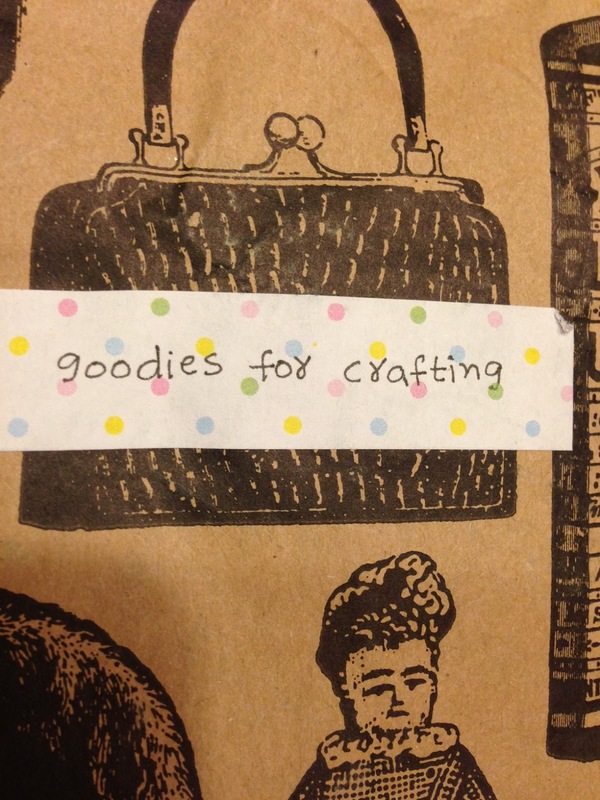 You might just find a few new blogs you want to keep on your blogger list, as well.